Very cuteness. Such tasty. Much wow. Japan’s number one cat-merch maker, Felissimo, offers us a new treat: Shiba-Inu shaped marshmallows! Now THIS is yum and cuteness and fluffiness overload. Need I say more? 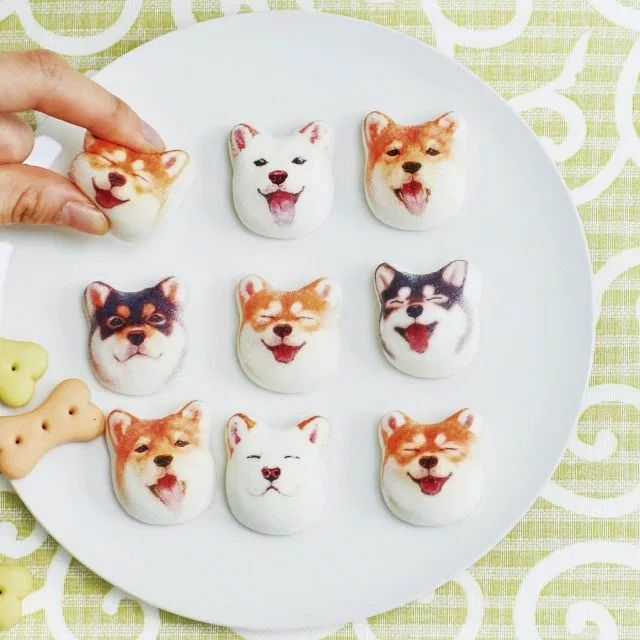 The Shiba Inu marshmallows are a follow-up to Felissimo’s kitty ones from a while back, and they keep the focus on the Shiba Inu’s goofily lovable faces. The marshmallows, which are hand-made, are specifically shaped to mimic the dogs’ muzzle. Since the Shiba is a Japanese breed, it’s only fitting that the marshmallows it’s inspired have a Japanese flavor too. Inside each is a filling of mixed of chocolate and anko (sweet bean paste), which should delight the palates of people raised on either side of the Pacific. You can order now for only 1,296 yen ($11.70) for a box of nine online via this link!